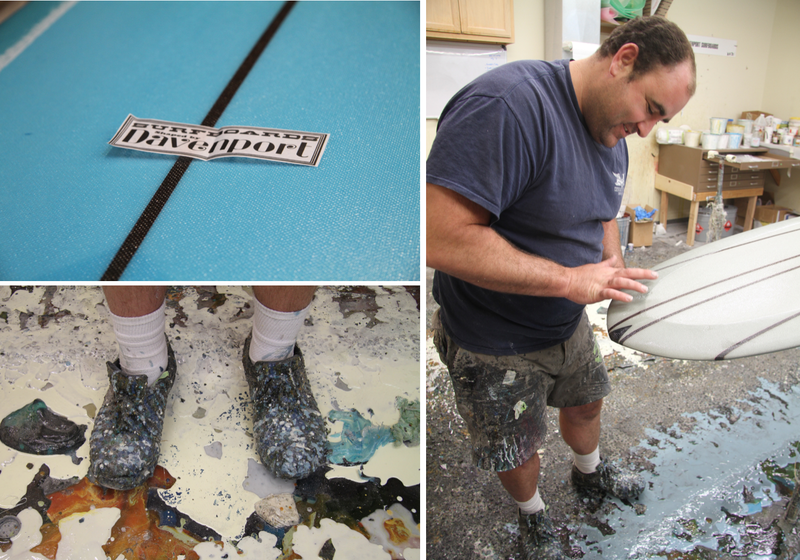 Adam Davenport of Davenport Surfboards is an unassuming character. 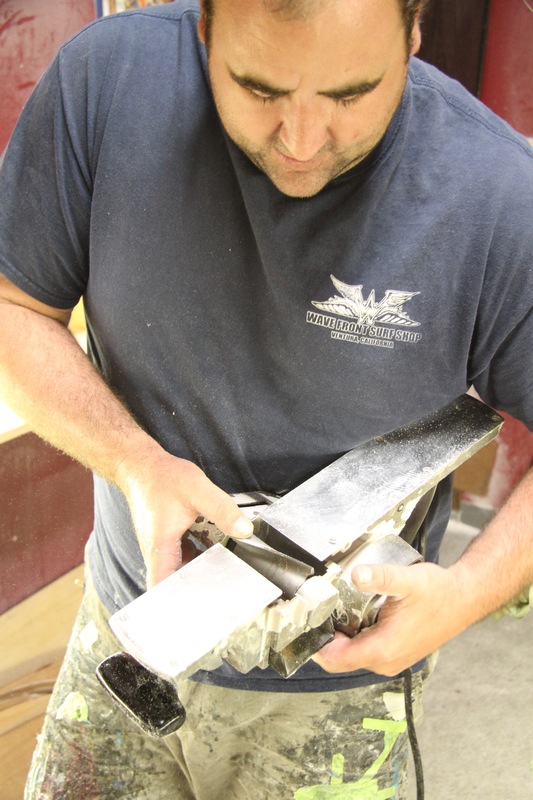 He quietly toils away, building boards by hand, from foam to finish. 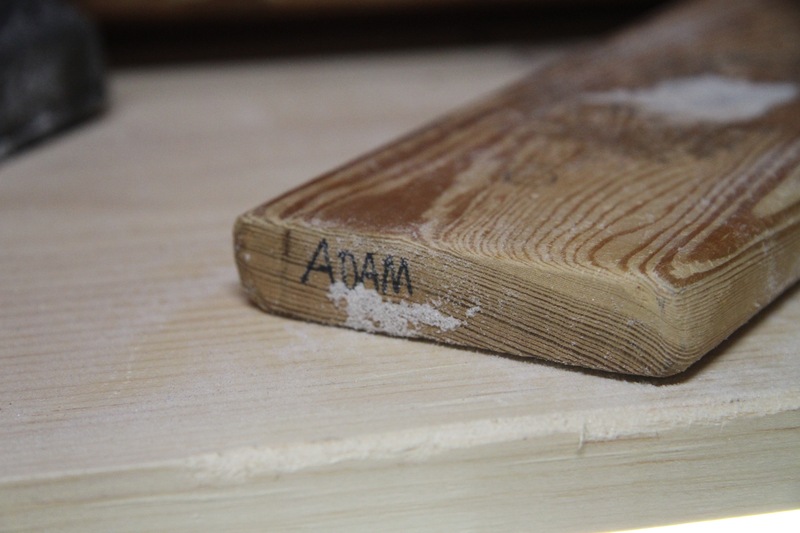 Whenever given a compliment, Adam is quick and earnest to credit a mentor who guided his path. Among them are Brian Hilbers, Scott Anderson, Mike Geib, Tyler Hatzikian, and Gene Cooper. Each instilled a reverence for hand-craftmenship and the importance of having the right tool for a task. 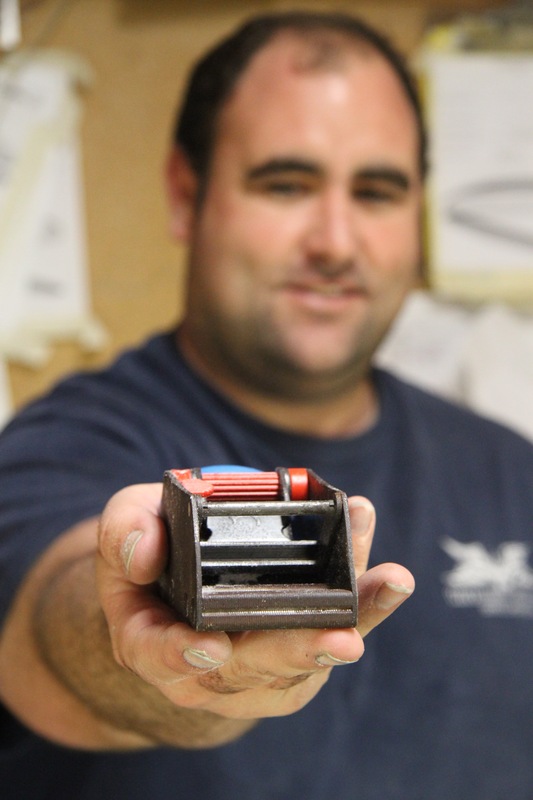 Adam recently relocated to Ventura, mere miles from our Ventura store. We’ve had the pleasure of getting to know him better and wanted to get his perspective on what 5 tools matter most to him. The Rockwell plays an important role in board building where I grew up, the South Bay. 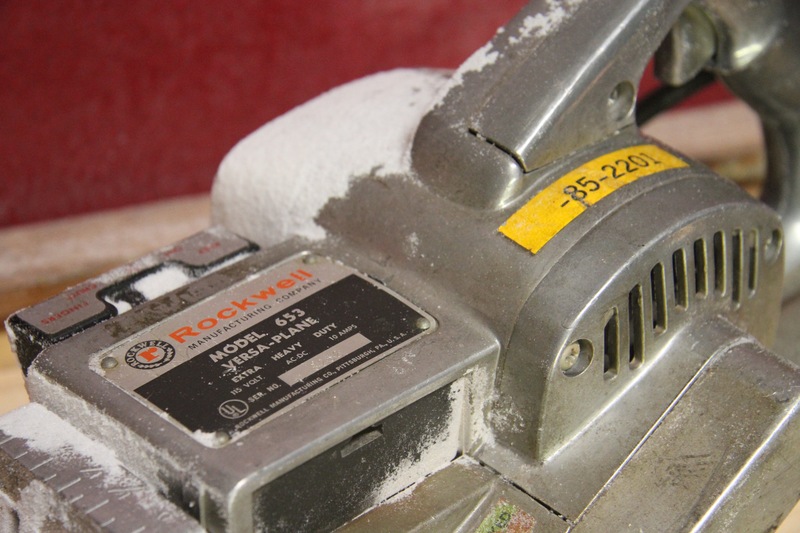 In the 60’s that area had Rick, Bing, Jacobs, and a lot of those guys used this planer because you had the big Balsa stringers, funky and inconsistent foam, and you had to do a lot of work fast; regularly those guys would build four, triple-stringered boards a day. This is a big, heavy tool so you could level a board out and take big, accurate passes. 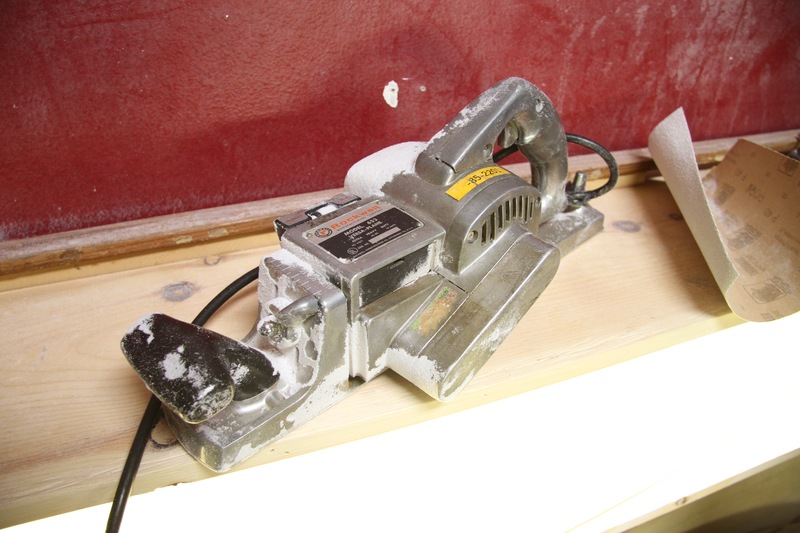 When I started building boards, I followed guys like Tyler Hatzikian and Phil Becker, who were building traditional-style boards with traditional tools. The Rockwell has played a role in all their careers. I got this specific planer from Gene Cooper. He noted my enthusiasm for the Rockwell and he wanted to help me develop my passion with era-specific tools. He’s a big advocate for Rockwell so he offered to find one for me for cheap, which he did. This one is from the mid 60’s and he got it for me for $74 dollars! So now I get to use a tool from the 60’s to build 60’s style boards, which is so neat. It doesn’t enhance my ability or anything, it just makes it more fun for me to get in here and shape. And truth be told, when this tool came along, I was in a really stale state of mind. I had moved up here to Ventura, I didn’t have a lot of friends, then Gene came in here with this tool and it made shaping really fun again. It totally revitalized my stoke. Not nearly as glamorous as the Rockwell but it’s actually a really versatile tool. You can level with it. You can do nice, long, finishing contour passes. You can turn rails with it. It’s all about touch and how you apply it. I use it a lot. 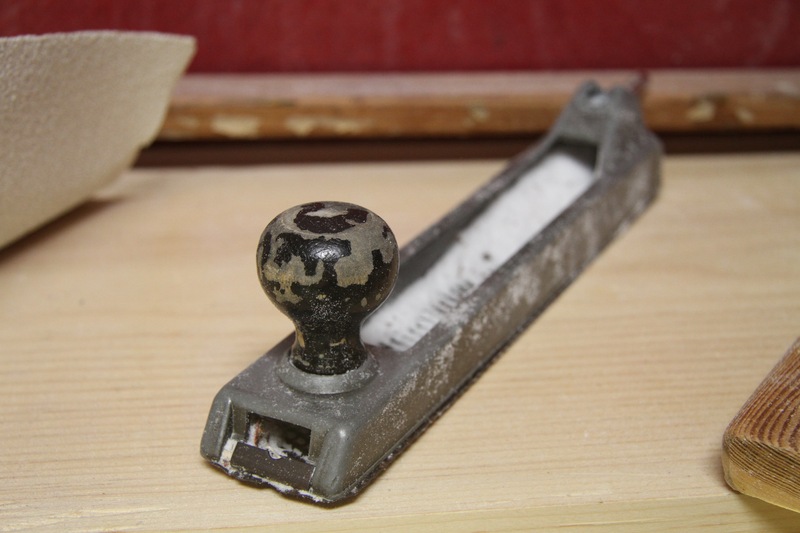 Mainly after I do my cutting with my planer, I then use my Surform to rough-in my main shape, the 40 grit is ideal for knocking down edges and starting to find the foil. Then, when the paper gets old, I cut it and make smaller pieces that fit in my hand to make nice contours, allowing very little separation between my hand and the foam so I can get the exact touch and contour that I want. It’s just a great blending tool. This is the Surform. A lot of guys are for them, some guys are against them. I use it to dial in my planer marks. I do the foil, I do the cutting, then I take the Surform and just tune up those lines and make them really nice and tight. You can also turn rails with it. You can do concaves. You can do detail work; nose, tail, edges. It’s a nice, straight tool so it’s versatile. But it also cuts. And like the 40 grit paper, it’s all about application, pressure, feel, angle. The simple tools are really the most versatile. This particular Surform is from a neighbor of mine growing up, Paul. He’s deceased now but I’ve known him since I was a little kid. When he passed away I used to go over and help his wife with yard work and just help around the house. When I was learning how to shape and I was starting to collect tools, she invited me over and offered me a box of his tools. It was so sweet! Something about old tool just feels better. There’s a story. There’s a provenance. I’m not a mystic by any sense, but the weight and the balance of old tools is just different. They just feel right. 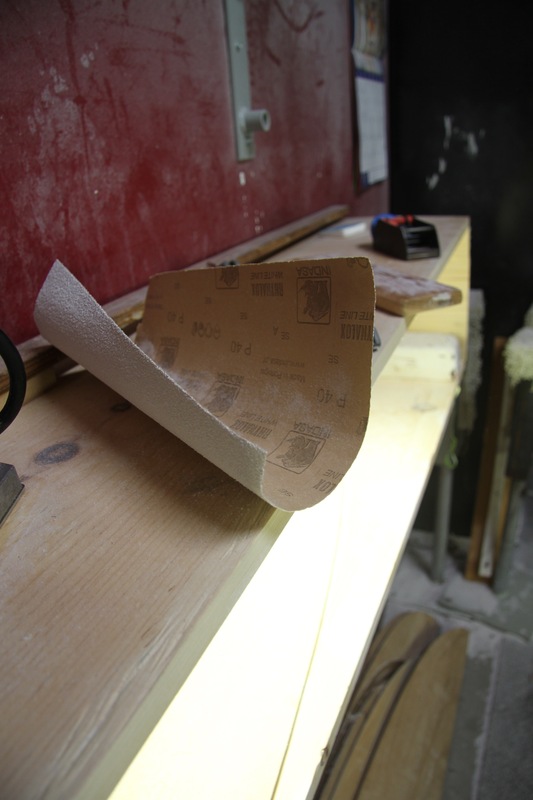 Super simple and low-tech, but a good ol’ flat piece of wood is important to have and it always comes in handy. Again, a great leveling tool. You wrap the 40 grit around it. It’s really good for truing up your outline, rounding things. You can put a nice piece of soft foam under it and now you can contour and foil. It’s just a simple, straight, square shape that offers a lot of versatility. This tool is very important to me. I kind of shake when I talk about it. My biggest shaping mentor, Mike Geib, got me this for my 30th birthday. 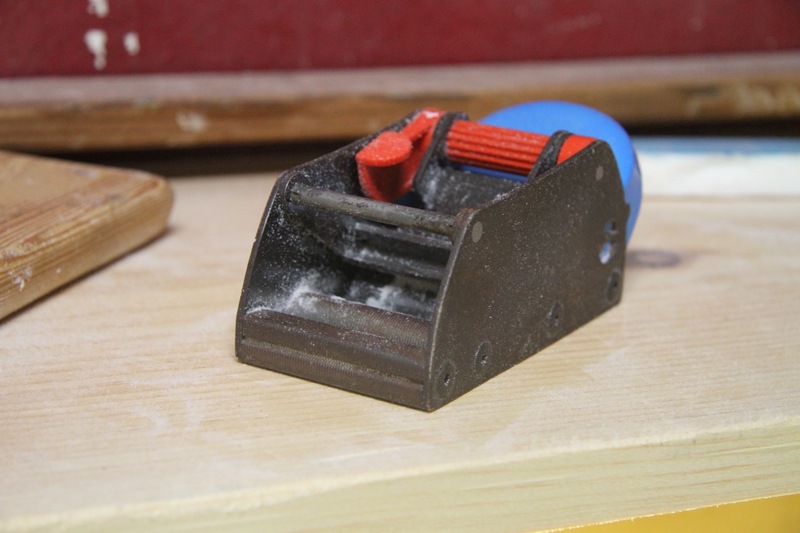 It’s a Raleigh Block Plane. And it’s really special because Mike is a lot like a dad to me. It’s a really nice detailing tool. You can do almost anything with it. It’s a very high angle blade, but it’s shallow and thin. You can level out foam. You can do nice detail wood work. You can do concaves. You can do the tips of the nose with triple stringers, and stuff like that. The blades are disposable so you just buy a pack of them. The tool is heavy so you’re not struggling to control it. I’ve had it for about 5 years now and it’s worked on about 300 boards. This tool really helped to elevate my craft. I think that I was an okay shaper prior to this tool, but once I got it, my work became a lot more refined. I don’t consider myself to be a good shaper, just well taught and well coached. This is one of the pieces that has been instrumental in my story. And Mike is one of the people who I wouldn’t be here without. In fact, you should probably talk to him! He’s an amazing shaper.